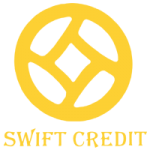 Swift Credit is a legal moneylender in Singapore and is licensed with the Registrar of Moneylender. Getting business loan from licensed moneylenders are very common these days as it is very accessible as compared to getting loan from family/friends, banks, co-workers etc. Business loan is highly recommended especially when you require the additional funds to expand your business through hiring more workers, acquiring machineries/equipment, purchasing new stocks, or getting new licenses etc. At Swift Credit, we provide the low interest legal loans application for business loan is very simple and straightforward. Therefore, do not let the temporary lack of funds in holding you back from expanding your business or aiding your business through challenging times. With our business loan, you are on your way in building up your business empire. Competitive Interest Rate Personal Loan in Singapore with Flexible Repayment Plan!